hightouchmegastore: I am in the middle of these books. 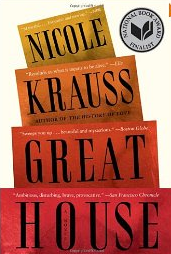 I am reading Great House for my book group. 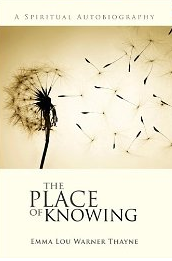 I'm about halfway through it, and so far I am finding it rather brilliant. Each new chapter brings you up short, because it is in the voice of a character you haven't met before, but whom you will discover to be linked to the threads of the other chapters/characters in some unexpected way. 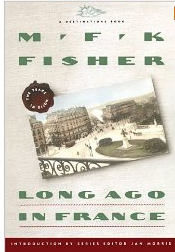 I am also reading this book about Mary Frances Kennedy Fisher's several years spent in Dijon, back in the late 20s and early 30s. Her style is desultory and devil-may-care, and she apparently ate and drank like a wolf and a fish, respectively. And I can respect that. The historian gave me this book for my birthday. This may be the closest I get to living in France sometime. I hate to be pessimistic, but there you are. However, I think I can say without a trace of pessimism that this is the closest I will get to living in France in the late 20s and early 30s, and for that fact, I want to express my gratitude to this book and its giver. I am also reading this book, another birthday book. Actually, I have only read the preface to this book. I am afraid that this book is going to make me cry. I am also reading this book, given to me by my mom and dad for my birthday. I love its author. She is a true original. 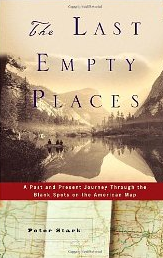 I am also reading this very interesting account of several family journeys to the places on the American map (lower 48) that seem to have the least human habitation, as evidenced by a nighttime aerial map, which shows where there is artificial light. The places include a stretch of the St. John river in Maine, central Pennsylvania, southeast Oregon, and part of the Gila Wilderness in New Mexico. It is very interesting, as I too have a fascination with what is vast and empty. This is a lot of books to be reading at one time. 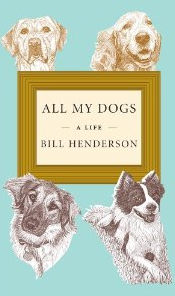 I am finding, though, that picking up nonfiction, particularly, a little at a time means I end up finishing more books than if I insist that I plow right through. I also have some books waiting in the wings, such as A Gate at the Stairs by Lorrie Moore, and Kraken by China Mieville, and some things I am supposed to read and watch, such as Andre Agassi's memoir Open and The Pianist, and the last season of Saving Grace and the first season of The Sarah Connor Chronicles, which I would very much like to do. I would, however, like to find an uninterrupted, oh, month, to do that reading and watching. A month in another dimension. Can't we, in this modern era, come up with the Uninterrupted Month Dimension? A whole passel of books I have never read. And all enticing. I have read -- I thought -- all of MFK Fisher's cookbooks. And at one time in my life memorized many lines by Emma Lou Thayne. This morning, I just finished reading "We the Drowned" by Carsten Jensen and wondered what to pick up next. Now, as MJ stated, I have a "whole passel of books" to choose from. Hooray!! Thanks for the fabulous suggestions, friend. Excellent selection of books! Love it! Well. As always you inspire. I've been reading mysteries as of late--nothing that's knocked my socks off yet. It's getting harder and harder to knock those babies off, I fear.